Complete fantasy. Your mistaking of Ligier, Michelin, Gitanes or Alpine for Renault and then being so colossally rude about it is inexcusable. 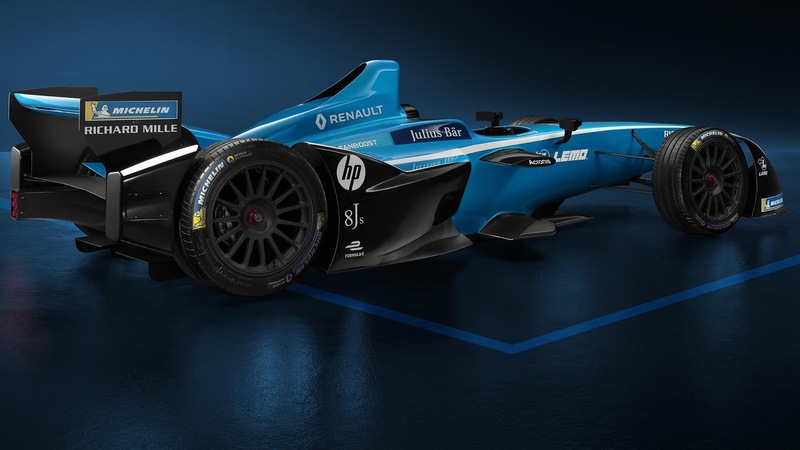 I don’t think Renault’s colours have ever been blue. Yeah that's my point. 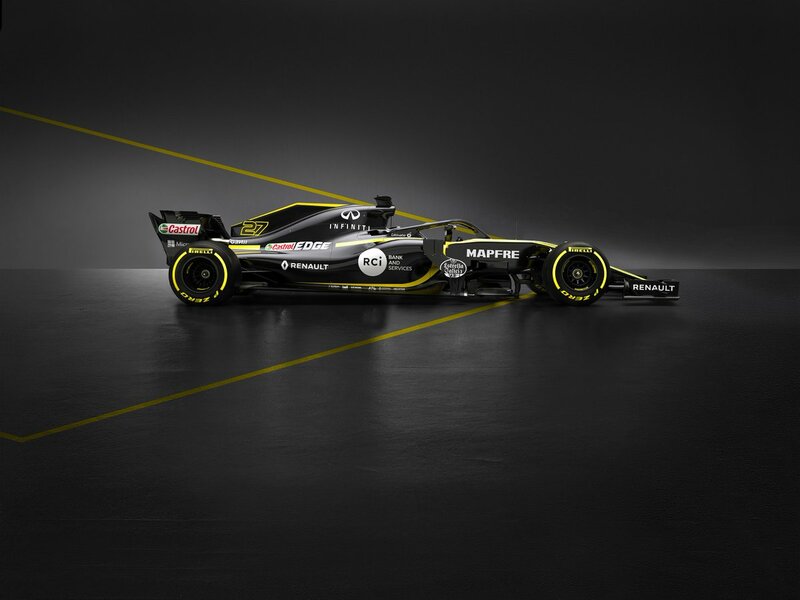 Renault's racing colours are Yellow, Black and White. 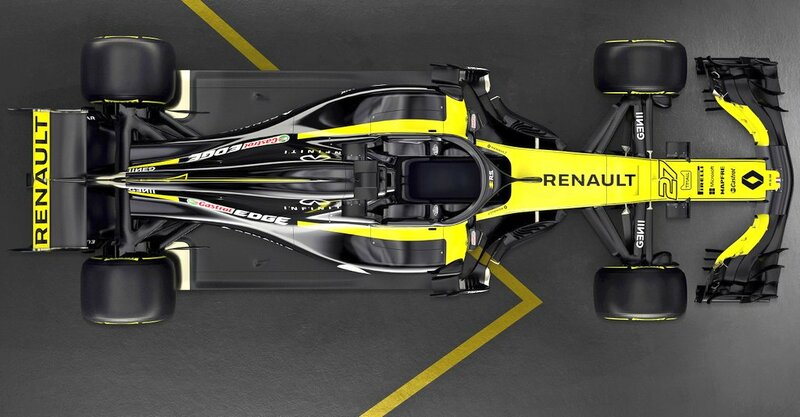 Any other colour on a Renault racing car is associated with some other entity or simply incidental. Dark Blue = Rothmans = Williams F1 = your connection? Consider when these cars came out, the winning Renault F1 cars were mostly a dark blue. They had blue before Williams ran the team, and Williams didn’t run the rally Meganes. I think Renault ran a yellow/blue livery for a brief period, primarily in the UK even? Maybe it was only a Renault Sport color, but I am sure blue was never a color in the corporate style at any time of Renault. 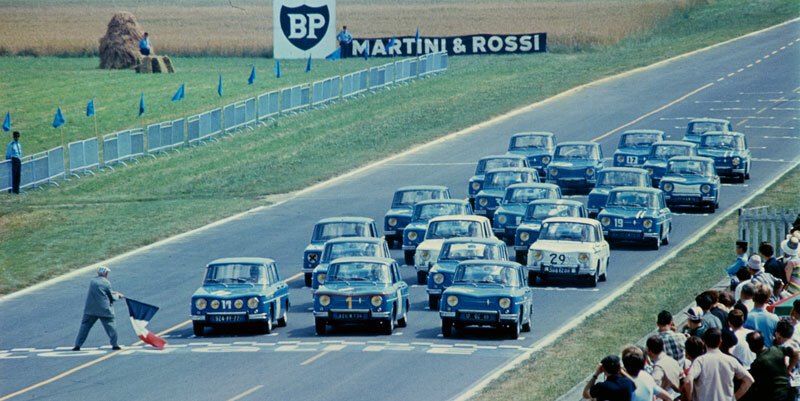 He is probably thinking Gordini, which has been owned by Renault since 1968 and moved to Viry in 1969 and acted as Renault's sporting division prior to the RenaultSport brand. Renault is a French team, therefore most of its racing cars must have been "Bleu France" before the advent of branding, sponsoring and marketing in motorsports c. 1970. Furthermore, the Alpine brand (all of which cars were blue until the mid seventies) was more or less the racing and performance car division of Renault, more than an independent constructor (think AMG-Mercedes). In fact, they were always called Alpine-Renault. "Blue is France's national racing colour, therefore several French motorsport teams have used it, including Alpine, Amilcar, Ballot, Bugatti, Delage, Delahaye, Gordini, Ligier, Mathis, Matra, Panhard, Pescarolo Sport, Prost Grand Prix, Rondeau, Salmson, Talbot-Lago, Voisin. The two notable exceptions are Citroën and Renault: the former has used red and white, whereas the latter has used yellow and black." So did any of you guys tried to make the hologram projector yet? 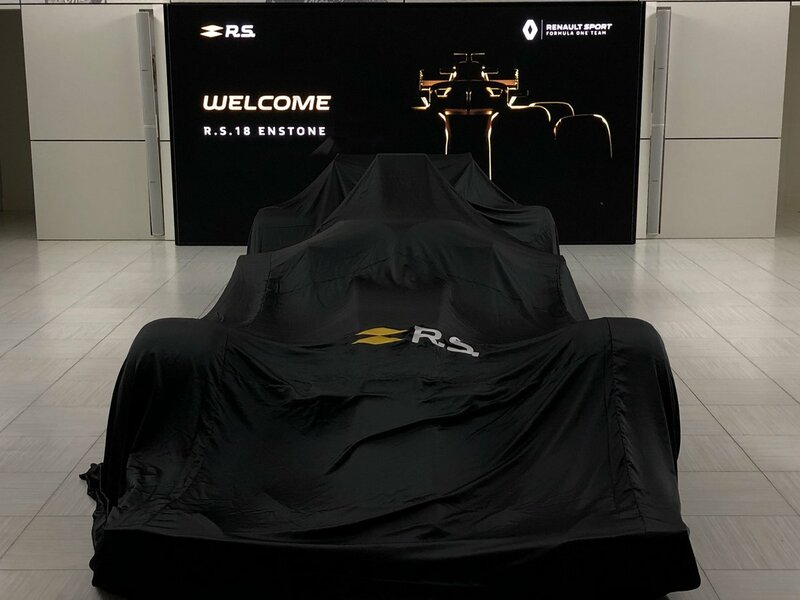 "The livery, yes, there is a little surprise to wait," reveals Cyril Abiteboul Motorsport.com. "I do not want to say too much, we are in the evolution without revolution, for us it's important to install an identity, so we can not do it every year, but there are really different things, a little more vibrating, I think that in a way, we will be even more assertive. " Edited by Alburaq, 17 February 2018 - 14:17. Usually that means the change will be so slight you’ll need to see the two side by side to notice any difference. Edited by Neno, 19 February 2018 - 13:08. Thinking about liveries and looking back at when the original works team ran, while they always had yellow, black and white, they mixed it up for every car. I’d take something simple like the 1983 version. Edited by Alburaq, 19 February 2018 - 13:39. Giving Hulk's helmet colors I think we will once again see yellow and black. I can't decided which is their best livery. Top one, the orange clash with the yellow, the black and yellow compliment each other. That is a sarcastic comparison right? Those ING liveries are horrendous... especially the 2009. I hope that was some kind of sarcasm. Edited by Alburaq, 20 February 2018 - 07:27. Just go back to Benetton blue. You mean Benetton red, yellow, green and blue? any idea of the timing of launch today? yes 3 PM UK Time. Edited by Pumpkinz, 20 February 2018 - 10:29. Is that a fire blanket, covering another popped Renault? 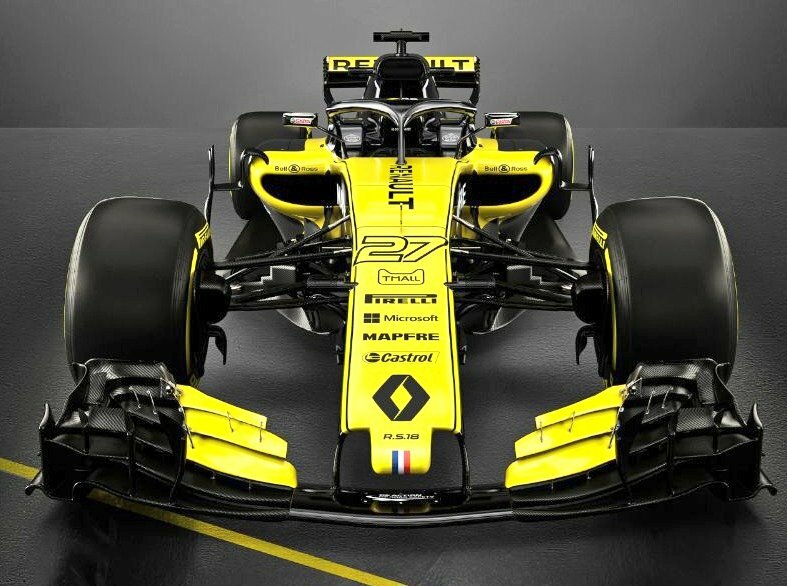 Looking forward to seeing the new car though, interested to see what sort of design cues they have taken from the other teams. 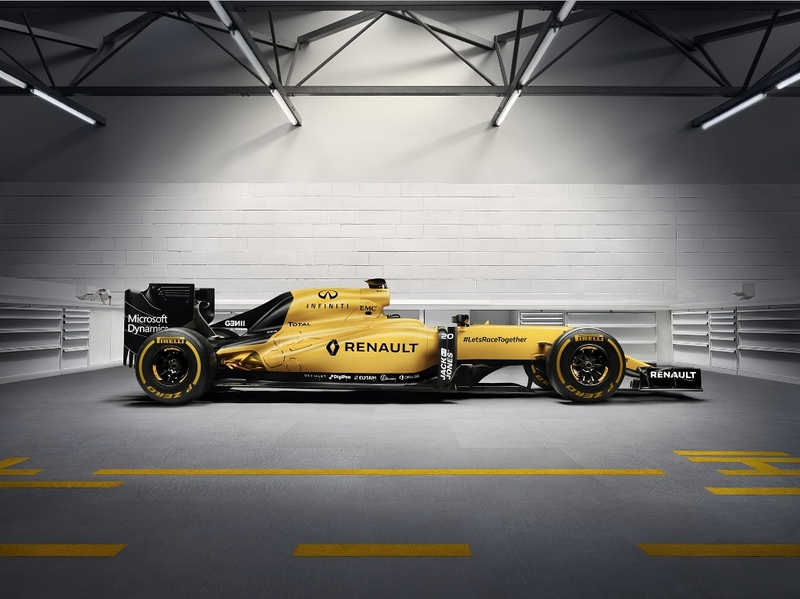 Also I really like their yellow liveries so hope they firmly stick to that. erm.... looks like last years car with a flip flop. And, I cant believe I'm saying this, but, the halo is bearable here. Livery is absolutely fantastic. Edited by ConsiderAndGo, 20 February 2018 - 15:02. Edited by Anja, 20 February 2018 - 15:02. Wish it had more yellow though. The livery does look nice, but only from the front in my opinion. To much black from everywhere else. Aha they went for 'underwhelming black' as their color for this year. They even made aero cat black, maybe a sign. And once again. A black car. Sad. Livery is good, but wow the car looks extremely undeveloped. I am dissapointed. 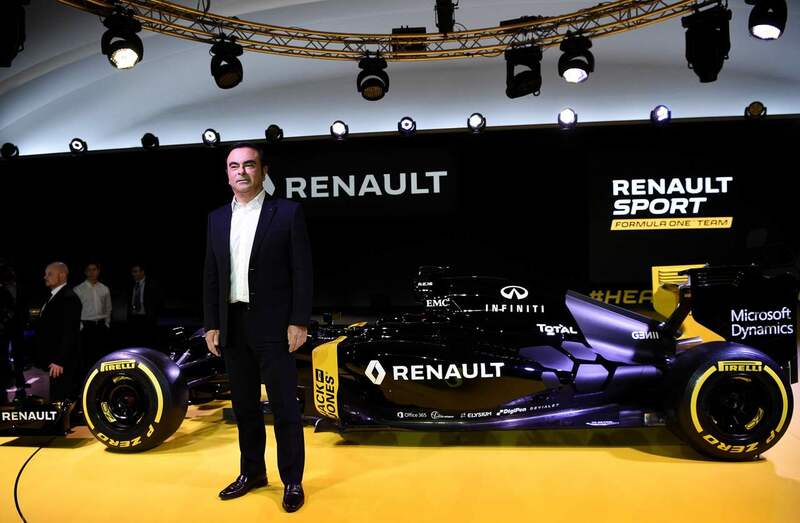 But that's just normality now if you are Renault fan. What does Red Bull know about cooling requirements that Renault doesn't? Huge sidepods in comparison. 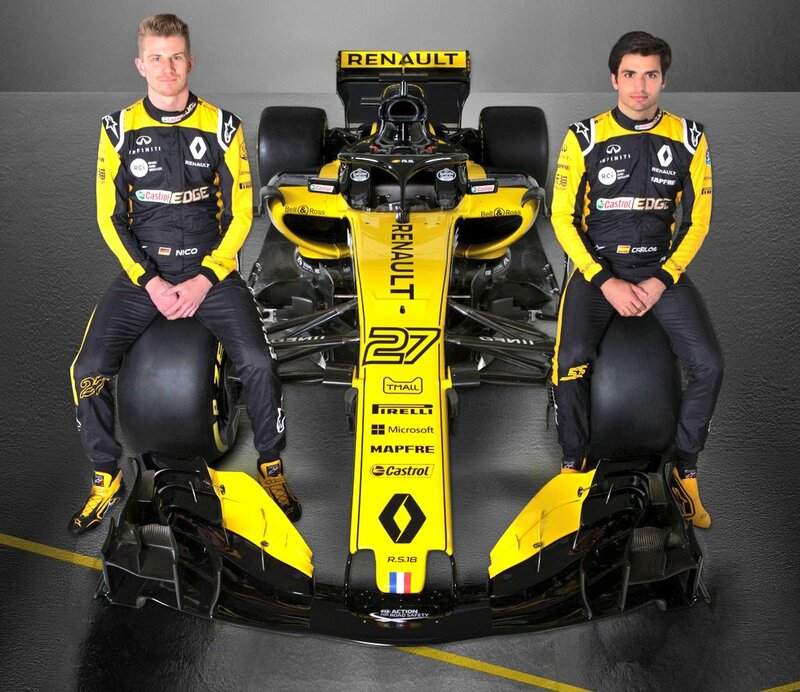 Hope they have a good year, time for Hulk to score a podium. And why not Carlos too! Edited by f1rules, 20 February 2018 - 15:16. 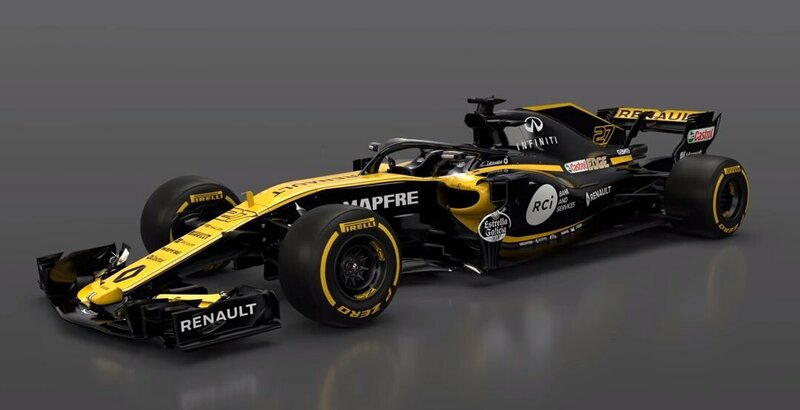 Are we sure this isn't last year's car with a new paintjob? It looks extremely underdeveloped and a lot bulkier than the Red Bull. Is that more of a day-glo yellow too? I was hoping for more yellow than last year's car rather than more black. Edited by johnmhinds, 20 February 2018 - 15:16.